WANDALUST online | About Wanda Hennig | Wanda Hennig writer, author Cravings, editor, transitions coach. Wanda Hennig is an award-winning travel, food and lifestyle writer, editor and photojournalist (print and online). She does publicist work for select clients and has a great social media track record (including strategizing, coaching, training). She is a certified co-active coach (CPCC) with a niche focus in creative mindfulness strategies, personal awakenings, self-empowerment, life transitions, and physical and emotional health and well-being. 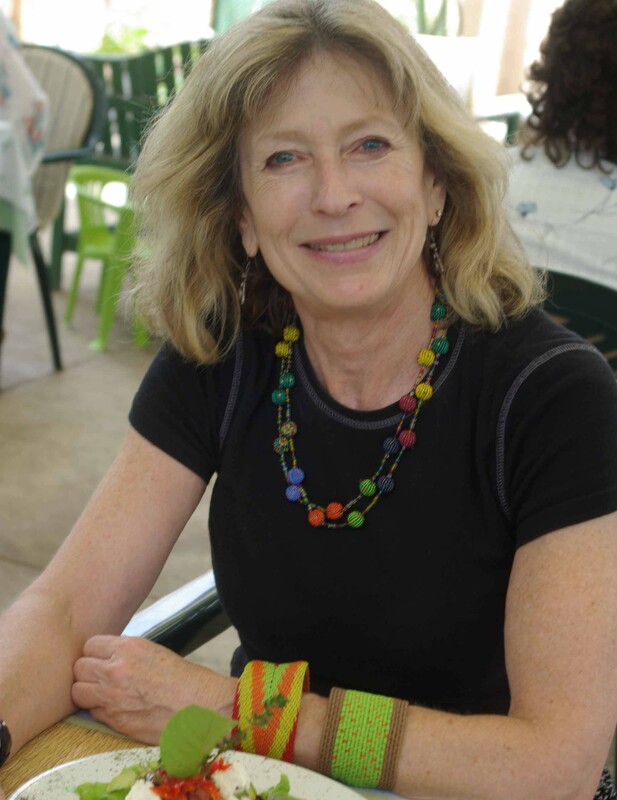 As a long-time mentor/muse to many writers (including while she was editor of magazines in both South Africa and California) and with a meditation practice going back 30-plus years, she offers a trove of wisdom to those who engage with her in her memoir and mindfulness workshops—which to date she has run in California, South Africa and Europe—and allied teachings. After three months “on the road” in 2018 (California then Europe), she is back writing her second memoir: appropriately, on solo travel. See notification, below right, of a 2017 “Gold” award from San Francisco Bay Area Travel Writers for a story published on this website: My backpack, my daughter and me. Wanda is the author of Cravings: A Zen-inspired memoir about sensual pleasures, freedom from dark places, and living and eating with abandon (Say Yes Press). The revised and updated (second) edition of Cravings was published in August 2017. *ISBN 978-0996820523 (paperback); ISBN 978-0996820530 (e-book). Wanda began writing Cravings—a travel-ignited inner journey with a powerful and pragmatic self-help focus—during the three-and-a-half years she lived and practiced at the San Francisco Zen Center. As a writer, editor, photographer and communications professional Wanda has notched up more than 25 years hands-on experience on consumer magazines and newspapers and in corporate and nonprofit communications, both in South Africa and the United States. As mentioned, she specializes in print and online editorial, has good social media credentials (including setting up long-term strategies and training) and can provide creative, strategic and branded content for websites. Wanda has post-grad degrees in psychology (BA Hons) and education (HDE—Counseling and English) from the former University of Natal, now the University of KwaZulu-Natal, South Africa. She trained and certified as a co-active coach at the Coaches Training Institute in California more than 10 years ago having experienced the value of coaching. To augment her coaching and in support of her clients, in 2012 she completed a 40-hour training course for family mediators with The Mediation Company in Durban, South Africa. 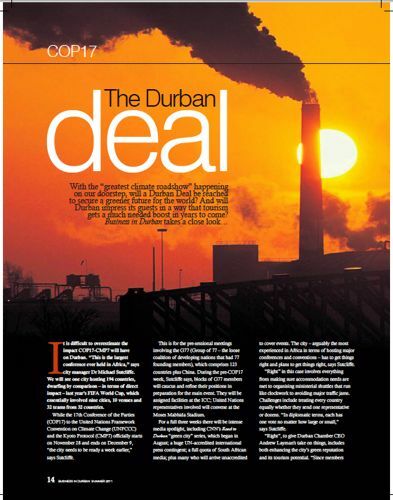 Wanda Hennig writes about COP17 for Business in Durban. Her work experience includes stints as director of communications for a Durban–based nonprofit and in corporate communications at San Francisco–based Bechtel. She has a National Diploma in Public Relations from the Public Relations Institute of South Africa. She is an experienced presenter, speaker, publicist, facilitator, manager and creative strategist. Born in Durban, South Africa, Wanda’s first job in journalism was at The Daily News. She subsequently spent six years on the Sunday Tribune writing hard news and features before becoming the editor of the paper’s Sunday lifestyle magazine. (She is still an occasional contributor.) Her time on The Trib was followed by five years as bureau chief for the South African edition of Cosmopolitan where she was also editor of Cosmo Man. While on these publications and freelancing for others—and in her personal capacity—she got to travel extensively around South Africa and internationally. She flew to San Francisco in the Nineties with a one-year return ticket. But as we all know, life happens, and the Bay Area became her home from home. As the daughter of a Pole who settled in South African after WWll, she also has a strong affiliation with Poland. Link here to some her Poland travel articles. See her 2016 solo travel Thailand and Laos blog posts here. And a few of her—mainly—culinary travel links on the Facebook page Wanda Hennig: Cravings. 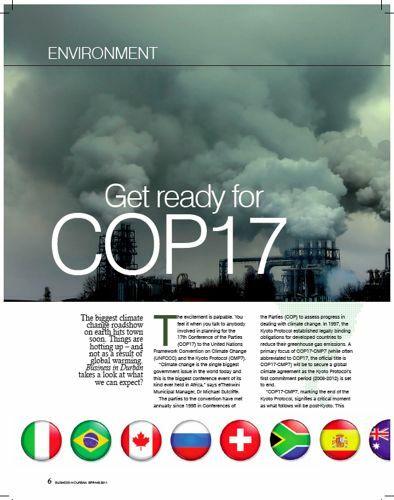 Wanda Hennig writes about COP17 for Business in Durban magazine. Wanda’s first California job was as special features editor on the now defunct Appellation magazine (Wine Country Living) when it was an international glossy headquartered in Napa. She was subsequently editor in chief at Diablo magazine in the San Francisco East Bay and editor of the former Black Diamond Living. For more than six years Wanda Hennig published regularly on examiner.com, where she was the South Africa Travel Examiner and the SF Culinary Travel Examiner. She writes the regular Delicious Life column (with a culinary travel focus) for California-based Cuisine Noir magazine and is the culinary travel contributor for Cuisine Noir print. Wanda is a longtime freelancer and a widely-published photographer (she has a national diploma in photography from the former Technikon Natal, now Durban University of Technology, where Obie Oberholzer was a teacher and mentor). Her extensive freelance portfolio includes corporate clips, lifestyle features and profiles, culinary and travel stories and more. She has been copy editor on a number of publications. In 2009 Wanda was hired as a consultant/coach by Oakland Zoo marketing and PR director Nancy Fiilippi to plan and advise on the implementation of a custom social media strategy. This story wins BATW Gold Award. Her 2010 focus included writing extensively about Durban and KwaZulu-Natal, South Africa, targeting U.S. audiences. She spent 2012 in Durban, South Africa, among other things writing for international and local publications, including Business in Durban magazine and the Sunday Tribune, working on the Independent News copy desk and on a book. In 2013 she successfully completed (merit pass) a TEFL/TESOL advanced Certificate in English Language Teaching. She does volunteer TEFL/TESL teaching with Talk English. Among her intention with this site (Wandalust online) is to embrace the possibilities of the virtual world using the web, social media including blogs, the written word and the magazine format to connect and communicate. Her life, interests and work are reflected in the stories (and services) she offers. Wanda Hennig on Travel Massive. She has a meditation practice extending back to the 1980s and visits and runs workshops at the Buddhist Retreat Centre at Ixopo whenever she can. Her Zen practice informs her life and her work. Perceptive Travel August 2018: Assignation with An Assassination. Berea Mail July 2018: Mbongeni Buthelezi—The (Environmental) Art of Plastic. Saturday Independent July 2018: Mbongeni Buthelezi—The Art of Fantastic Plastic. Cuisine Noir August 2018: Nigerian Filmmaker Akin Omotoso Blends Race, Gender and South Africa in Colour of Wine. Cuisine Noir June 2018: Chef Tiyan Alile’s Quest to Bring Nigerian Cuisine to the World. Travel Examiner January 2017: Culinary Poland in the Time of Chopin. Scene Stealers Top 10 Durban. Words Wanda Hennig. Pics Clinton Friedman. Sunday Tribune Travel / Independent Online, April 11, 2012 — Aw, Shucks — Kayaking and eating oysters in the San Francisco Bay Area. “Fresh, local, sustainable, seasonal and vegetarian – all sprinkled with a sense of humour. This, delightfully and appropriately (have you heard the Dalai Lama’s giggle?) is the flavour of The Cake the Buddha Ate: More Quiet Food (Jacana), the new cookbook from the Buddhist Retreat Centre (BRC). Sunday Tribune August 29, 2010 — Who put the trash out? Who cares!